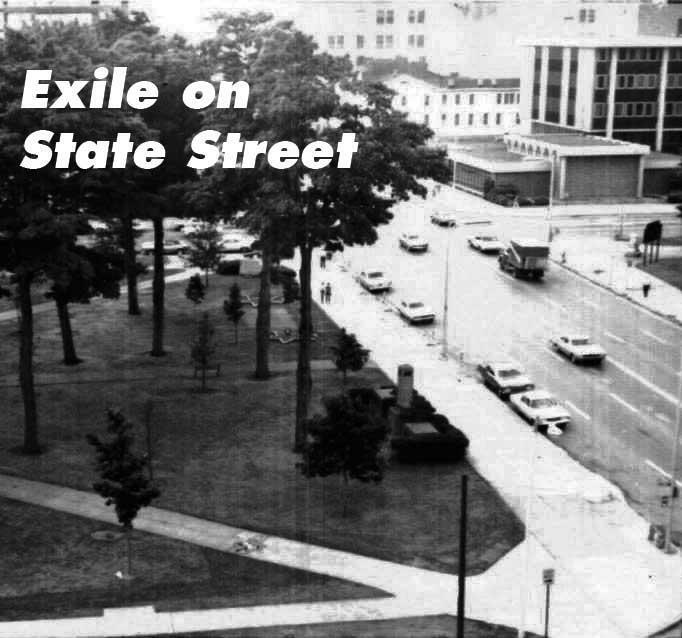 Exile on State Street: When is too much government not enough? With the recent nearly one-two-punch knockout of two major economic opportunity projects in Erie County, it's critical that we fundamentally reevaluate why Erie County continues to lose economic ground relative to other areas of Pennsylvania and the nation. Of course, I am speaking of the demise of the Inland Port Project and the near KO of the KLN Family Brand chip plant development at the former Troyer Farms facility in Waterford. I have previously highlighted the failure of Erie County to have a comprehensive, coordinated development plan with an organization tasked to carry it out. This goes to the lack of civic and government coordination. However, there can be no doubt that another major contributing factor to the recent setbacks is the inability to plan and implement economic development from a countywide standpoint. On the contrary, it is the local government unit in Erie County that unfortunately is the gatekeeper for economic opportunity. This structure has — and continues to — fail the region miserably. To any objective observer, including Brian Bosworth in the seminal 2001 study which I continually cite, Toward an Economic Development Strategy for Erie County, "[t]here are serious problems of duplication, overlap, competition, and sprawl resulting from the highly fragmented system of civil jurisdictions in the Erie region." Erie County is shackled with 22 townships, 2 cities, and 14 boroughs, not to mention an array of school districts. Each with its own zoning and building codes, various water and sewer authorities, and of course, its own governing bodies that exercise significant control over development opportunities. As Bosworth noted, "[t]his fragmentation has not been offset by cooperation, and has had a profoundly negative impact on the region's development." The consequences of this fragmentation can be seen throughout Erie County­ — unrelenting sprawl, competition among local jurisdictions for resources and development, and huge urban and suburban income disparities. And then there's the impediment to the few opportunities that do come along when individual jurisdictions can block development for their own perceived reasons to the detriment of the entire county. To address this situation, Bosworth recommended (13 years ago!) that Erie County and local governing authorities and civic leaders undertake a five-year plan to expand the authority of County of Erie to assume larger responsibilities for economic and community development for the region. Three significant areas were suggested. First, the Erie County government must have an expanded role for regional land-use planning. For instance, under the current municipal planning codes, each jurisdiction is required to have every conceivable zoning classification permitted in its jurisdiction. This makes sense for the larger and denser cities, but does it necessarily work for the smaller boroughs and townships, particularly the rural areas? More importantly, with a regional, county-based land-use plan, enforceable through the county, specific areas for development can be identified that would potentially benefit regional growth. Through a county zoning system, projects could be evaluated and approved or denied by balancing the local impact against the regional benefit. Instead, local governments essentially monopolize the process, often considering their own "backyard" and not the vitality of the region. Sure, I can hear the hoots and hollers now, but, folks, the system we have now has not worked for the better part of forty years. The Inland Port Project is Exhibit 1. The chip plant was almost Exhibit 2. Second, Erie County must develop some type of countywide revenue sharing to address the significant income and real estate tax inequities that have existed throughout our period of decline. More recently, with the City of Erie hovering around a 25 percent poverty rate, this inequity has become only more acute. Moreover, the huge disparities in local government real estate taxes have fueled outmigration from the cities and directly contributed to sprawl. One factor driving the real estate tax disparity is the huge amount of tax-exempt properties in the cities, particularly Erie. Many of these properties are home to important public and charitable services that benefit the entire county. Their services do not have jurisdictional boundary lines. These include the hospitals, colleges and universities, the prison and court system, social service providers, and recreational facilities. With the City of Erie's tax exempt property rate arguably exceeding 40 percent, it's no wonder the city's tax rate far surpasses the suburbs. This leads to more flight of people of means and concentrates poverty in the city. The common cry from government officials is that only the state legislature can address this issue, but this is not true. There are creative means to address this. Under the county's home rule charter and the Pennsylvania constitution, authority exists for the county to enact a revenue sharing ordinance to compensate municipalities that are shouldering the lion's share of the exempt properties. Would this mean an increase in taxes to some? Probably. However, they have not been paying their fair share for the costs of these worthwhile and necessary institutions for years. The core concept is that if taxes are more equitably distributed regionally, wealth will similarly be distributed and the county is in a better position to compete for opportunities. Third, the county must assume a greater role in the provision of certain government services. For sure, I expect my thoughts on this to produce some visceral responses, but again, we have to look at how we are failing as a region, not just individual jurisdictions. To some extent the county has been expanding its role in such areas as public safety with the county taking a more prominent role in 911 coordinated dispatch. However, other areas such as police and fire protection must be considered. For example, in more prosperous and growing regions of the country, fire protection is deployed on a regional basis. Transferring the City of Erie's fire bureau to the county and redeploying it strategically throughout the county supplemented by volunteers would increase safety and spread the region's cost of providing such services out more equitably. These are just a few suggestions. Of course to some – perhaps many – they are controversial. Good! Erie County needs to have a dialog about these issues and ways to move forward, or we will continue to see overall regional decline and a failure of opportunities such as the Inland Port and near failure of the KLN expansion. The fact is, as Bosworth so succinctly stated, "[n]ot only is local government not part of the solution to Erie's economic development needs, it is a major part of the problem." Only when the county steps up and assumes its natural and elected role as Erie's regional government, can we, as citizens of Erie County, not just a local municipality, address our problems and find solutions collectively. Rick Filippi can be contacted at rFilippi@ErieReader.com.